Alpine Respire is the latest addition to the quickly increasing set of collaborations by protoU. protoU was first introduced to the greater dark ambient community through the brilliant release Earth Songs, in collaboration with now husband, Dronny Darko. Earth Songs still gets tons of play here at This Is Darkness HQ, “Riparian Forest” being one of my favorite dark ambient tracks in recent history. Earth Songs was followed by her first two solo releases, Lost Here and Khmaoch. Both of these albums showed her inclination to keep to the subtle side of the genre. Creating music that is often quite pleasant sounding. More dark in a sense of solitude and introspection than in the malevolent or occult sense. Her recent collaboration, Stardust with Alphaxone, took us into space, giving us a tour of the cosmos through the dark ambient lens. 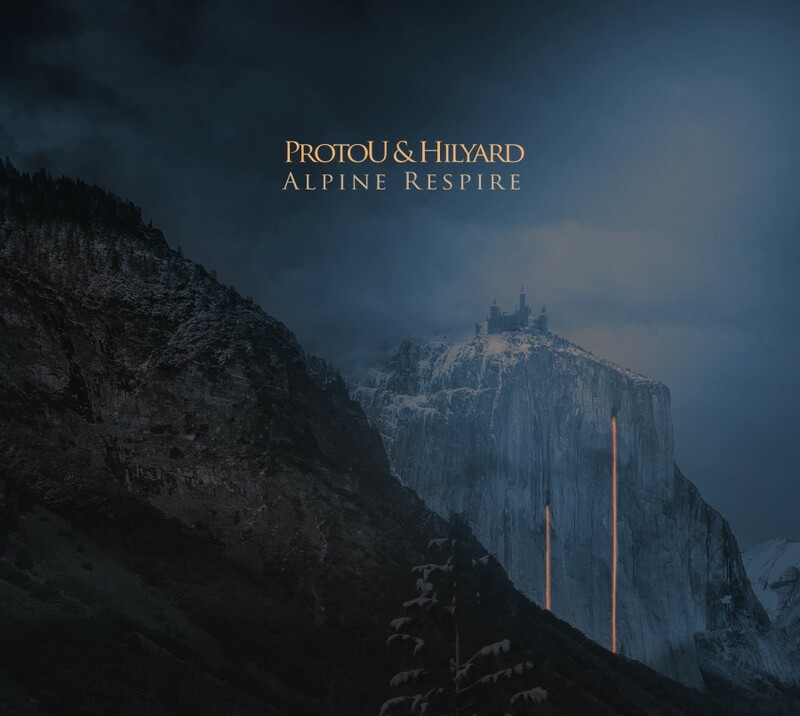 Alpine Respire, in the same fashion as it happened for protoU, is the debut release on Cryo Chamber by Hilyard. Bryan Hilyard has already been making his rounds in the ambient / dark ambient communities for several years. His previous works have been field recording heavy, with an overarching focus on nature. Much like protoU, Hilyard finds the sweet spot between ambient and dark ambient music, making for albums that are at once peaceful and meditative, but ever so slightly eerie and melancholic. Coming together for this release, protoU and Hilyard seem to have already had a decent bit in common. So instead of two styles clashing and creating some unlikely outcome, we are instead presented with something that seems natural, free flowing and polished. As if the duo had been working together for years. The music keeps a constant focus on nature, particularly the colder forested environments. Alpine Respire, in its literal definition would mean something like the breathing of the high mountains, or some similar sentiment. Taking the sounds of the album and the gorgeous cover-art into consideration, this definition seems to fit their vision accurately. 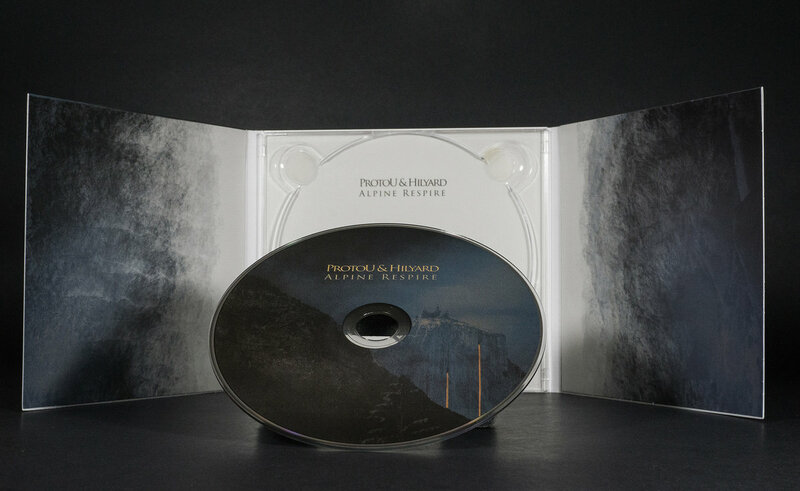 The album opens with the title track, “Alpine Respire”. My very first impression of this track was as surprising as it was delightful. I, even after hearing it 10+ times at this point, feel a strong connection between this and the opening track from Sigur Rós self-titled debut album. The drones are dense and slowly evolving in the background. The foreground is laden with eerie higher pitched sounds. This whirlwind of sound all seems to come to a climax around the two minute mark as the drones subside and there seems to be a celestial voice (or maybe just some well-placed synth) giving a sort of exhale. As the energy begins to rise once more there are so many sounds to capture the imagination, allowing listeners to take their interpretations off into various directions. This opener sets the perfect mood for the rest of the album. The balance between darkness and light, eeriness and comfort, devastation and peace, constantly plays itself out beautifully. “Blood Grass Sojourn” starts off droning and subtle, then slowly moves into more active territory. A plethora of field recordings taking the foreground. Crows cawing, winds rushing, flecks of indeterminate sound oscillate between left and right as the drones begin to construct a thick wall. As if falling under the pressure, we begin to hear the movement of large rocks, like they are being crushed by the drones. There is a strength and depth to this wilderness being conveyed. The tones of something that sounds like Tibetan singing bowls gives the impression that this is almost a religious experience. But this is no modern religion. If religion it is, then it is that of our ancient forebears, those that respected and feared the Earth itself for its brutal nature. “Boreal Distillate” seems to be on par with the aforementioned “Riparian Forest”. protoU and Hilyard pack this track, once again, with field recordings. There is a downpour which lays the base for the track, augmented by thick slowly evolving drones. The rest is filled out with the occasional sounds of wildlife. There is not a ton of activity here and we are urged to take a meditative approach to listening. The track works perfectly in passivity, accompanying the mind as it is left free to wander. If listening actively, we are able to picture ourselves trekking through some great old forest, as the rains permeate our clothing. If placed in the background, the gentle beauty of the music does little to side-track from any other goal, be it reading, studying, writing, etc. 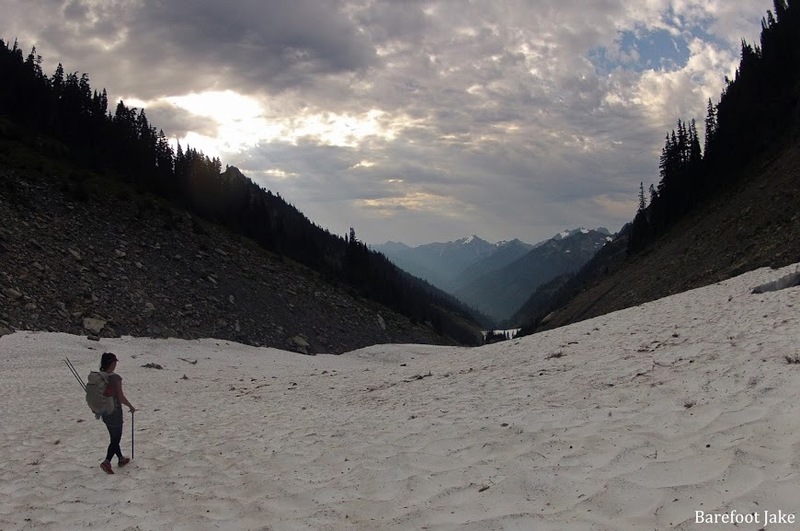 The album concludes with “Elwha Snowfinger”, which is a perennial snow field located near the Dodwell Rixon Pass, which is 1452m/4763 ft high and separates the watersheds of the Elwha and Queets rivers in the Olympic Peninsula in Washington State in the USA. This track reminds me a lot of the many works of Ugasanie. There is a thick almost overwhelming layer of drone-work setting the foundation. Upon this base we here strange sounds, likely field recordings, but the context and meanings are hard to discern. This gives the track an eerie sort of feel, as if one is wandering aimlessly through a white-out at a bitter cold high elevation, fumbling for shelter, nearing hypothermia and the inevitable final outcome of death. Alpine Respire is a perfect fit on Cryo Chamber. It has all the attention to detail one would expect of this label. The field recordings are crisp and give life to the entire album. The drones are varied, sometimes taking on hollow natures other times so dense that they literally seem to crush boulders. protoU and Hilyard make a fantastic pairing, their skills seem to be relatively overlapping, as are their goals. This album is overflowing with field recordings. For listeners that love to hear the elements of nature transported to their speakers, this is the perfect album to add to their libraries. the drone work is also top-notch. The combination makes for some brilliantly dark ASMR enriched music. It is the perfect companion to a late night of reading, a stroll through nature, or a critical session of active listening on a high-quality headset. I, for one, will surely be returning to this album very often.